Mady Mesplé was born in Toulouse, France, and studied piano and voice at the music conservatory of her native city, graduating with a gold medal. She played the piano in a local ballroom orchestra for a while, and later left for Paris for complementary voice lessons with French soprano Janine Micheau. Mesplé made her professional debut in Liège in January 1953, as Lakmé, a role with which she remained closely associated throughout her career, singing it an estimated 145 times. Lakmé was also her debut role at La Monnaie in Brussels in 1954. She quickly established herself in the standard lyric and coloratura roles of the French repertoire, such as Olympia in Les contes d’Hoffmann, Philline in Mignon, Leila in Les pêcheurs de perles, Juliette in Roméo et Juliette, Ophélie in Hamlet, Dinorah, Manon, Sophie in Werther, etc. She made her debut at the Aix-en-Provence Festival in 1956, as Zémire in Grétry’s Zémire et Azor. The same year saw her debut at the Opéra-Comique as Lakmé. Her Palais Garnier debut took place in 1958, as Constance in Francis Poulenc’s Dialogues des Carmélites. Full consecration came at that opera house, in 1960, when she took over from Joan Sutherland in a new production of Lucia di Lammermoor. Other Italian roles included Amina in La Sonnambula, Rosina in Il barbiere di Siviglia, Norina in Don Pasquale and Gilda in Rigoletto. She also sang a few German roles with success, notably the Queen of the Night in Die Zauberflöte, Sophie in Der Rosenkavalier, and a much-acclaimed Zerbinetta in Ariadne auf Naxos in Aix-en-Provence in 1966. Mesplé also enjoyed a successful career abroad, appearing at the Bolshoi Theatre in Moscow, the Royal Opera House in London, La Scala in Milan, the Metropolitan Opera in New York and Teatro Colón in Buenos Aires. During the 1960s, Mesplé appeared frequently on French television and started exploring works by contemporary musicians. Charles Chaynes composed his Four Poems of Sappho for her, and in 1963 she premiered Gian Carlo Menotti’s French version of his opera The Last Savage. She was also the first to sing the French version of Hans Werner Henze’s Elegy for Young Lovers in 1965, and Pierre Boulez chose Mesplé for his performances of Arnold Schoenberg’s Jacob’s Ladder. During the 1970s she added operettas to her repertoire, especially by Jacques Offenbach, such as La Vie Parisienne, Orphée aux enfers and La Grande-Duchesse de Gérolstein, opposite Régine Crespin. Mesplé retired from the stage in 1985 and turned to teaching at L’École Normale de Musique in Paris and at the Music Conservatory of Lyon. She also gave master classes and acted as judge in many voice competitions around the world. Mesplé left an impressive discography, encompassing recitals of opera, operetta, and melodies, complete opera and operetta recordings, some of rarely performed works such as Auber’s Fra Diavolo and Manon Lescaut, Charles Lecocq’s La fille de Madame Angot, Robert Planquette’s Les cloches de Corneville, Louis Ganne’s Les saltimbanques, André Messager’s Véronique, Reynaldo Hahn’s Ciboulette, etc. However, it is her recording of Lakmé, opposite Charles Burles and Roger Soyer, under Alain Lombard, that will forever be remembered. 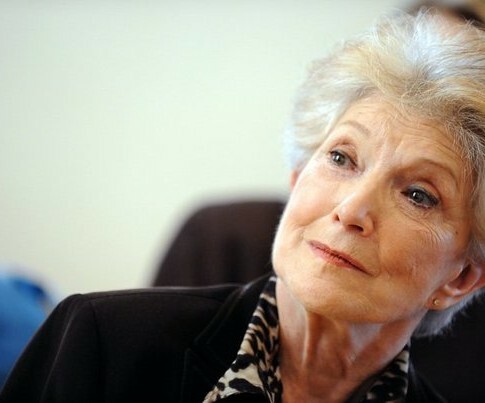 On July 14, 2011, she became Commandeur of the Legion of Honor.